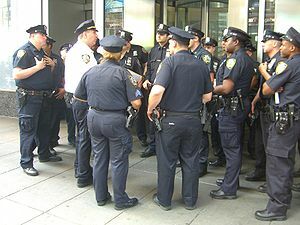 A New York Police Department edict issued to precincts throughout the city notified commanders that “any requests by the media to view complaint reports” should “be referred to the office of the Deputy Commission For Public Information (DCPI).” The document was first published Thursday by The Nabe, a New York-based community blog. “While the Commanding Officer of the precinct, and not a Community Affairs officer, is the person that can help provide information, DCPI is the hub for all media requests and we will gladly facilitate all inquiries through this office,” a DCPI officer told the Nabe. The announcement comes as Commissioner Kelly prepares to leave office next month, when Mayor-elect Bill de Blasio announced he will be replaced by William Bratton. Over the past 12 years, Kelly has slowly brought the entire public image of the NYPD to rest upon his shoulders. He and former spokesman Paul Browne were generally the only administrators who ever spoke to inquiring reporters. Read more via NYPD moves to limit public access to local crime information — RT USA.